1) Hi Rosie and welcome to Alba in Bookland. Could you tell us a bit about yourself? Thanks for having me Alba! I’m a born and bred Londoner, grew up in North London, now live south of the river (don’t ask my parents about this migration). I’m married and have two boys under the age of two, we live in South West London with our crazy cat, Archie. Currently I’m on maternity leave from my job as joint Editor of HELLO! magazine. I adore my job and have held this position for the past six years. Before HELLO! I held senior roles at glossy women’s mags including Glamour, Grazia and Red. In no particular order, I love reading, writing, red wine, sunshine, beaches, making cakes, clothes and accessories that glitter, irregular exercise classes and I collect things with palm trees on them. 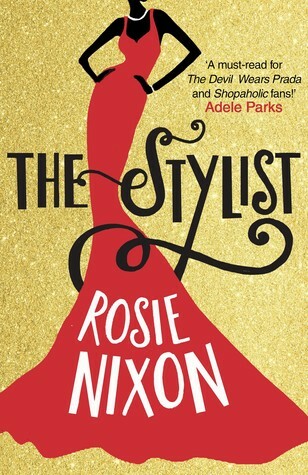 2) The Stylist is your debut novel. Has it always been your dream to be an author? Yes. I was a prolific story teller and letter-writer as a child and kept a diary as a teenager – I was always finding a reason to write and dreamed of being Anne Frank, but with a less traumatic back story. 3) How did you juggle being the editor of such a big publication like Hello! with your writing process? It’s hectic! I wrote much of The Stylist on my iPhone – on the tube, in taxis, in bed – wherever and whenever an idea or a bit of prose came to me. If you want to do something badly enough, you find the time. Mind you, I didn’t have two little children when I wrote most of it – finding the time to write the sequel is proving more challenging! 4) In The Stylist we follow Amber Green to some wonderful locations as she works for a famous stylist to the stars. Where did the idea come from? Have you met lots of crazy divas, their equally crazy stylists and their suffering assistants in your career? 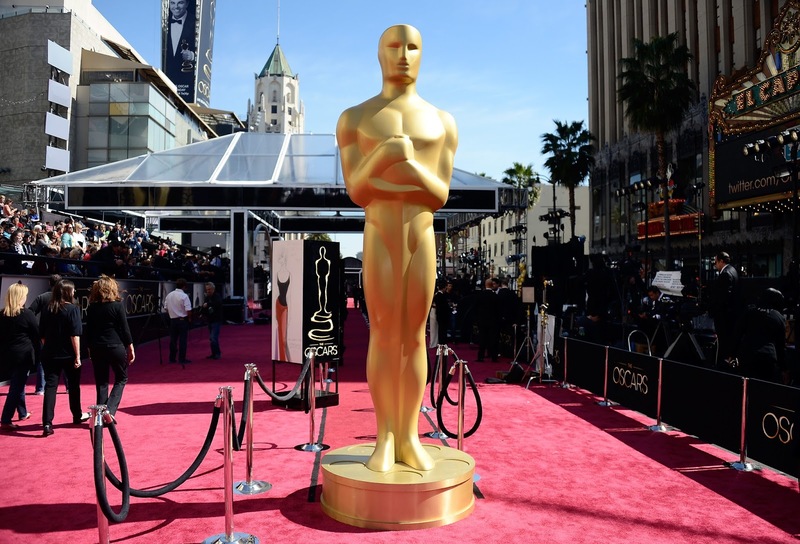 I’ve been lucky enough to travel to Los Angeles many times during my career and have covered the major awards ceremonies including the Oscars and BAFTAs. I’ve always been fascinated by the people behind the amazing gowns we see paraded so seemingly effortlessly on the red carpet and thought it would be a fun premise for a novel. There is a showbiz wedding in The Stylist and of course I’ve had a lot of experience of those during my role at HELLO! I couldn’t help but be influenced by some of the situations I’ve been in when I wrote The Stylist, but all the characters are completely fictional. 5) Amber ends up in the red carpets of various glamorous awards ceremonies. I am guessing you have had the pleasure of attending some red carpets yourself? What's the most gorgeous dress that have you ever worn? I once wrote a feature for Glamour magazine where I was turned into an A-list star ahead of the Oscars in LA. I had every primping and preening treatment going, including three spray-tans in the space of 24 hours! I was loaned a stunning, sequin adorned gown by Alberta Ferretti and diamonds by Jacob and Co, which were so precious they required their own body guard. It was an amazing experience and to cap it off I ended up getting my hands on the ultimate accessory – a real life Oscar statuette – at Elton John’s party late in the evening. But I was like Cinderella and it was all returned in the morning before I travelled back home in Economy. 6) Which 3 words would you choose to describe Amber Green? And Mona, the celebrity stylist? 7) I, like many others, always enjoy checking what the celebrities wear at the Oscars and the Golden Globes. Did you have any favourite dresses in the last Golden Globe ceremony? And least favourites? I thought Cate Blanchett looked beautiful in Givenchy and Jennifer Lawrence stunning in a scarlet Dior creation. I don’t think anyone ever looks bad, it’s all a question of taste. Awards ceremony dresses are like costumes, they need to have some theatre. 8) How has your role at Hello! helped with your writing? Have you added personal experiences to the story? Without a doubt my job has given me a good insight into the exciting showbiz world I write about, but I am extremely protective about the stars I have worked with and would never betray their trust. 9) Have you thought who would make the perfect Amber Green if there was a The Stylist, the movie? Jennifer Lawrence or Amy Schumer, I love them both. 10) And finally, what can we expect from you next? The sequel to The Stylist. I’m having a ball writing it at the moment, it’s set in New York and involves more fashion dramas, parties, hangovers and matters of the heart as Amber relocates to the city that never sleeps and navigates her first relationship. Thank you Rosie for stopping by and sharing with us your stories. And wow! You went to the Oscars like a pro and even held an Oscar stattuete, that's so cool. Also, I'm delighted to hear that there will be a sequel for The Stylist, already looking forward to it! Blurb: When fashion boutique worker Amber Green is mistakenly offered a job as assistant to infamous, jet-setting 'stylist to the stars' Mona Armstrong, she hits the ground running, helping to style some of Hollywood's hottest (and craziest) starlets. As awards season spins into action Mona is in hot demand and Amber's life turned upside down. Suddenly she catching the attention of two very different suitors, TV producer Rob and Hollywood bad boy rising star Liam. How will Amber keep her head? And what the hell will everyone wear? The Stylist is a fast-paced, fun-packed rummage through the ultimate dressing up box. Fab interview Alba (and some diplomatic answers there :)). Fantastic interview! Wow - wearing an Alberta Ferretti dress to the Oscars - that must have been such an unforgettable day for you, Rosie! The Stylist is on my TBR pile. I am really looking forward to reading it now :-). Thanks for linking up to #TalkoftheTown, Alba.